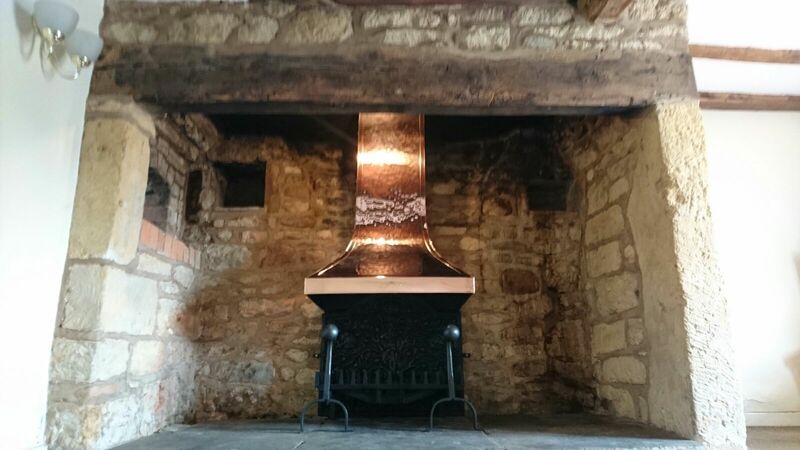 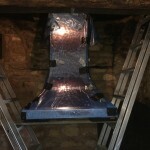 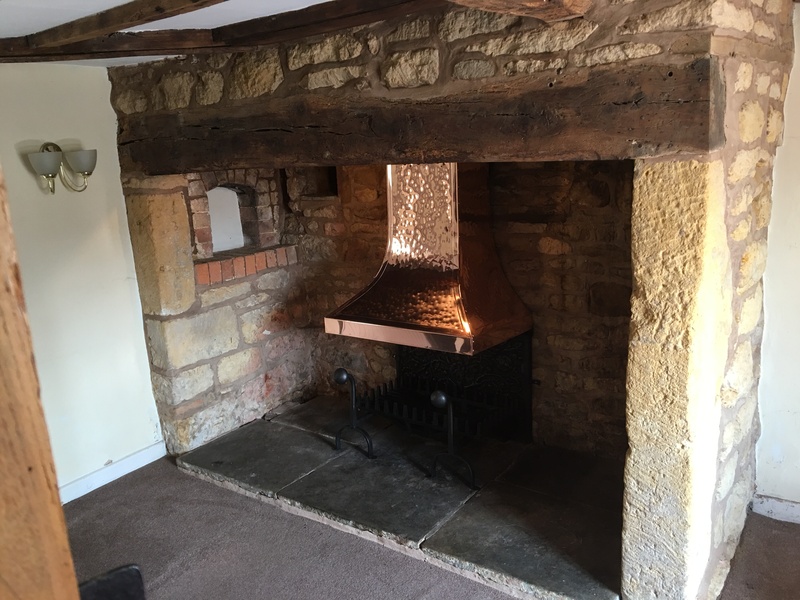 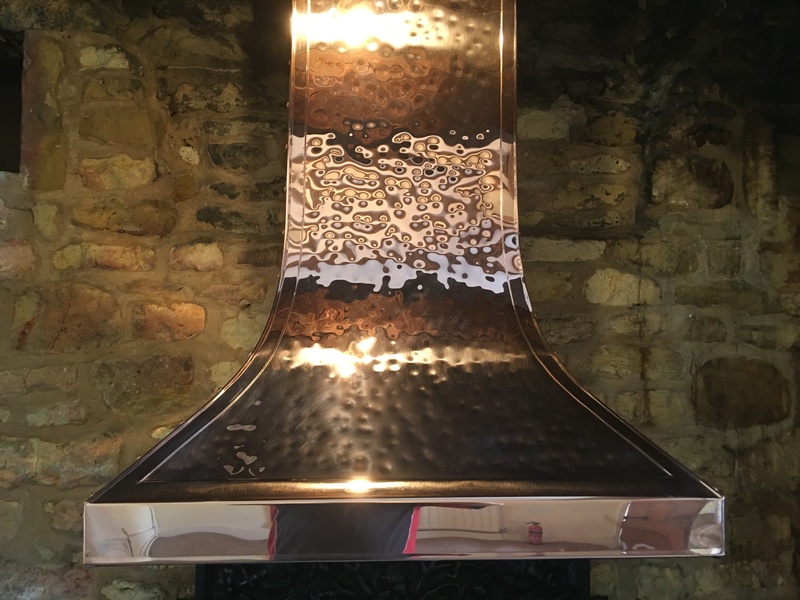 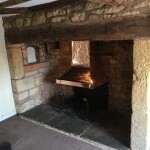 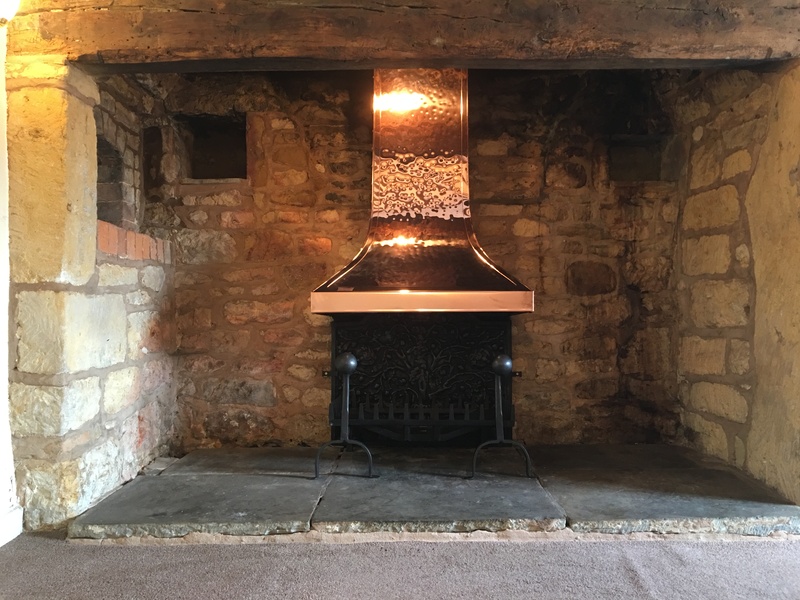 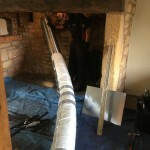 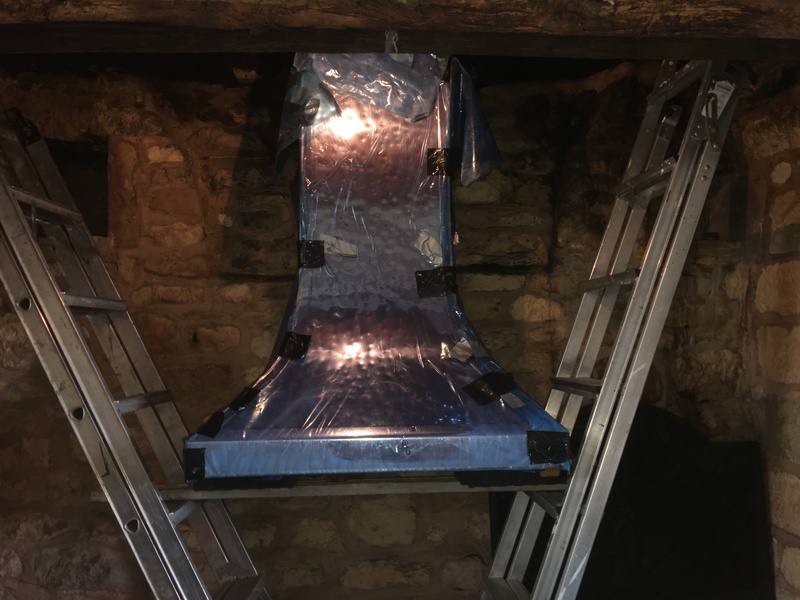 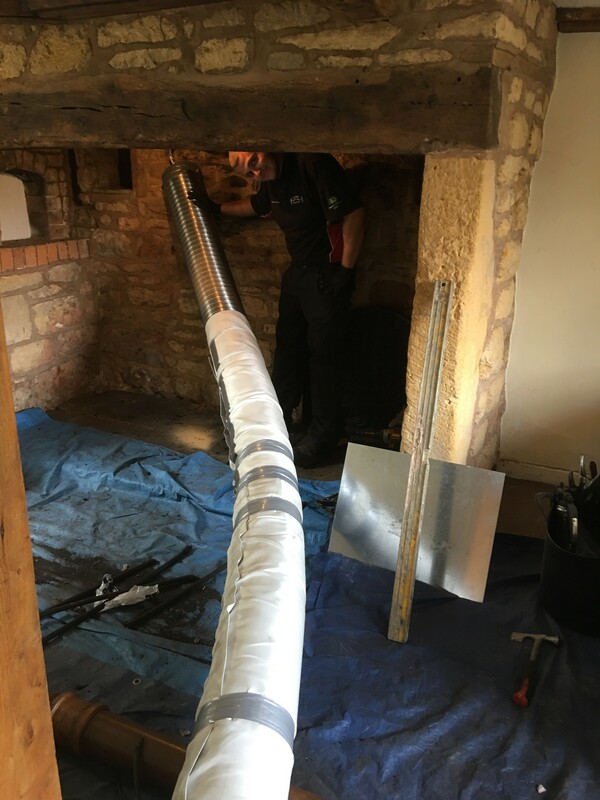 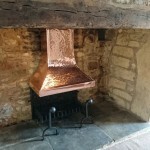 We were called to this beautiful listed holiday cottage in the cotswolds, to sweep the chimney of this inglenook stove installation, upon investigating the installation we had to condemn its use due to the size of the stove which was way to big for the room & the closure plate sealing off the chimney should be made of metal was actually made from plywood ! 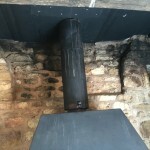 (how this did not catch fire was sheer luck). 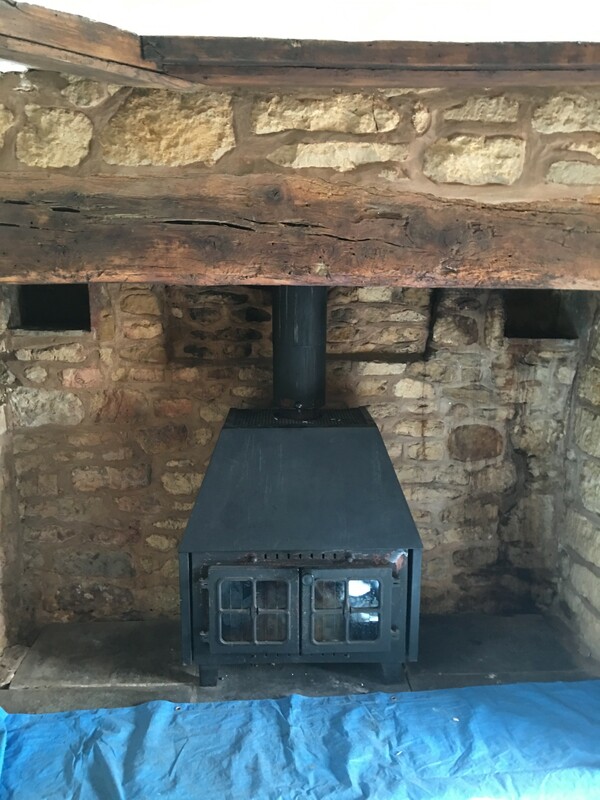 After discussing options with the customer they decided they would like to put an open fire back in the inglenook with a canopy. 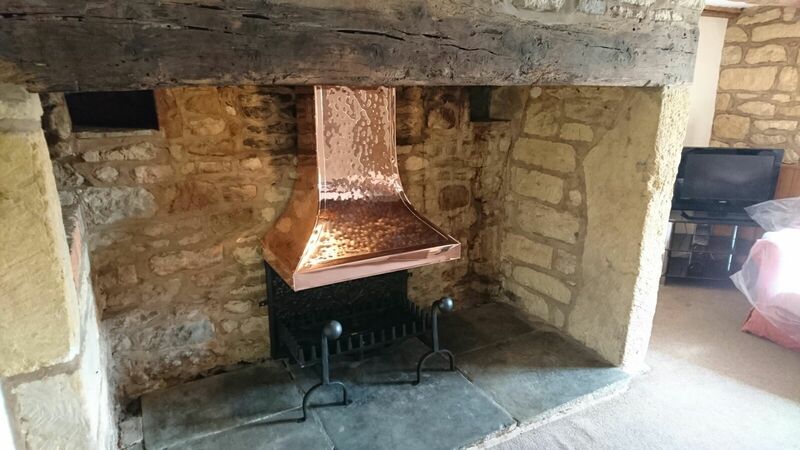 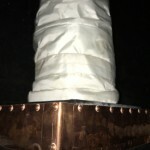 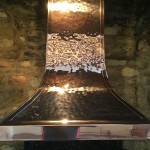 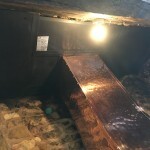 The customer always wanted a copper canopy & thought this would be perfect opportunity to have one, we sourced a hand beaten copper canopy from Camelot Real Fires Ltd. We contacted Paul Shaw with our requirements & measurements & he said he would have it ready in 8 weeks well you only have to look at the pictures to see the out come not only beautiful to look at but functional with a closure baffle & was perfect size all around, Many Thanks to Paul & His team. 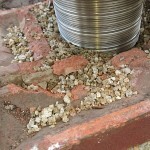 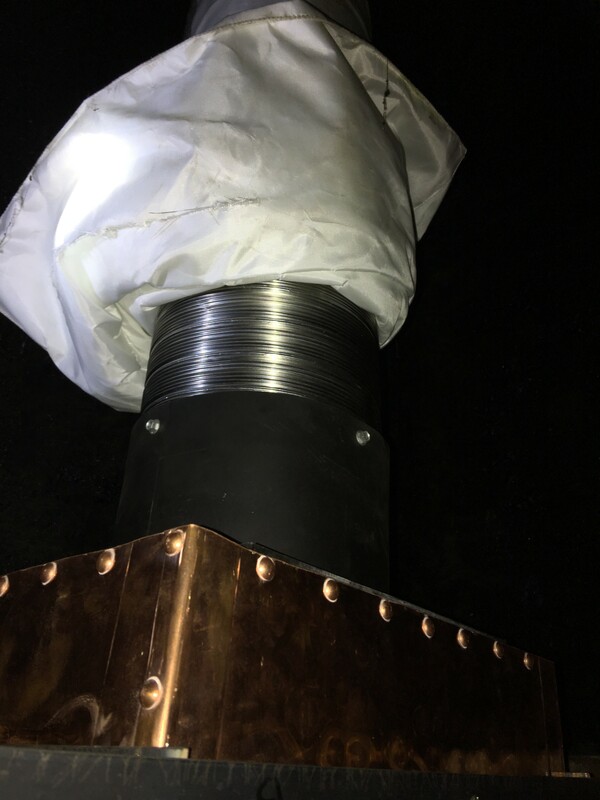 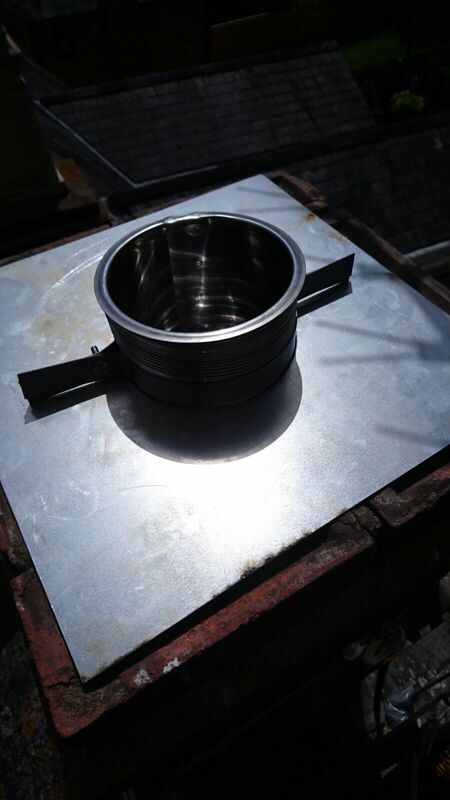 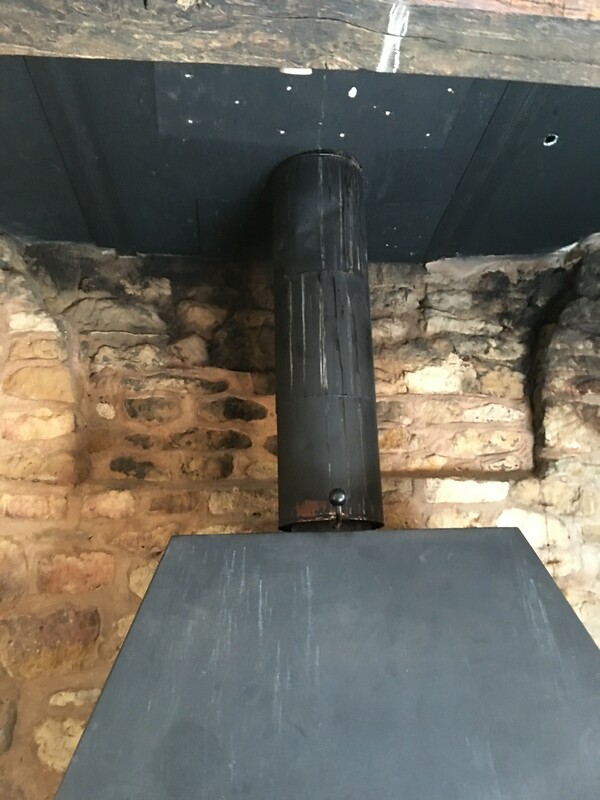 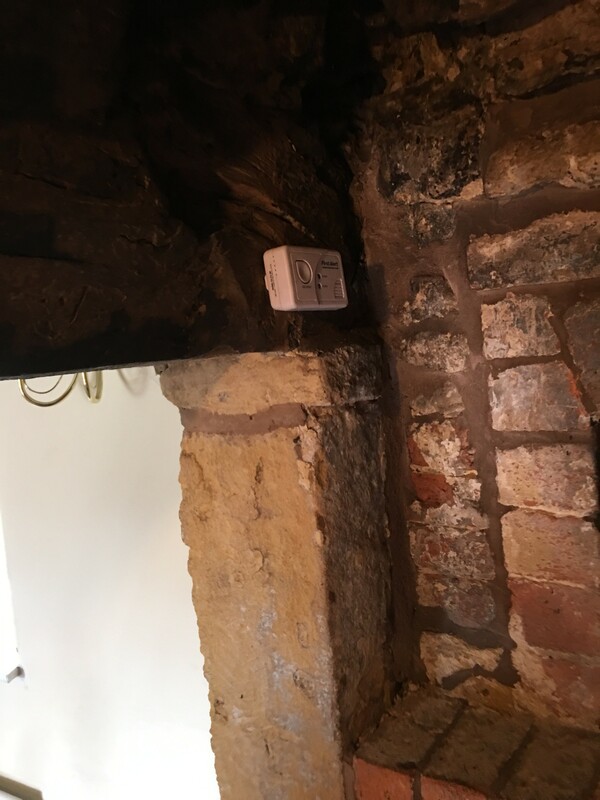 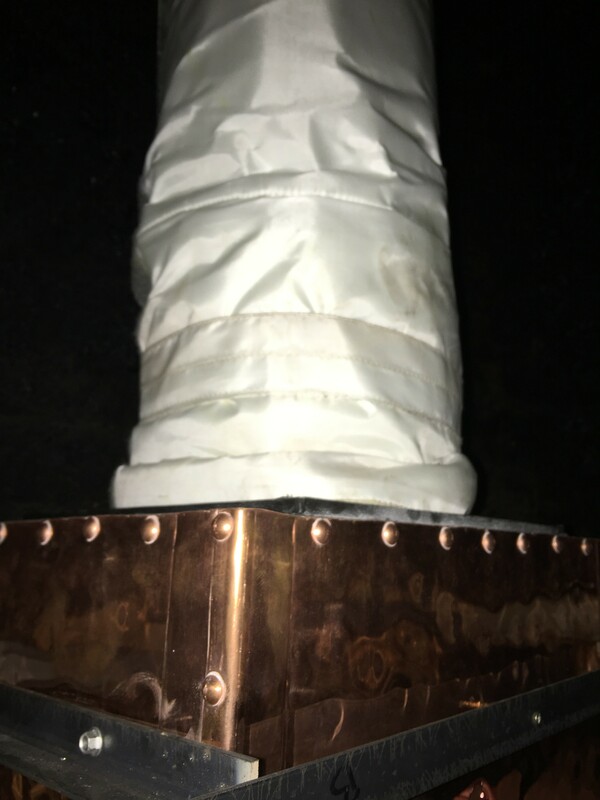 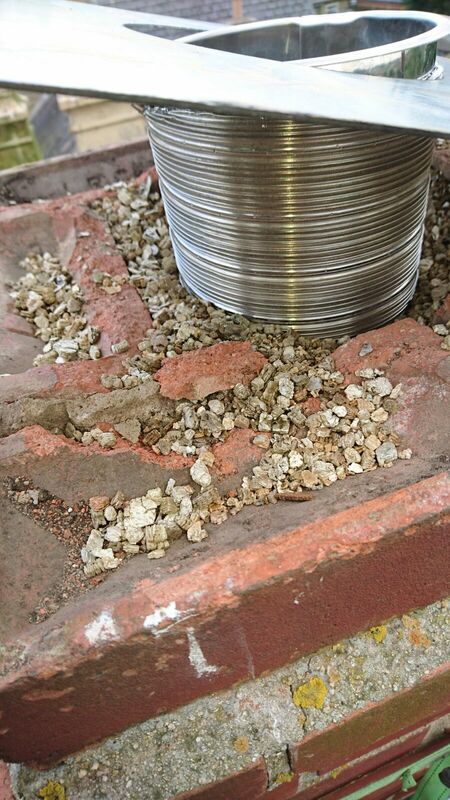 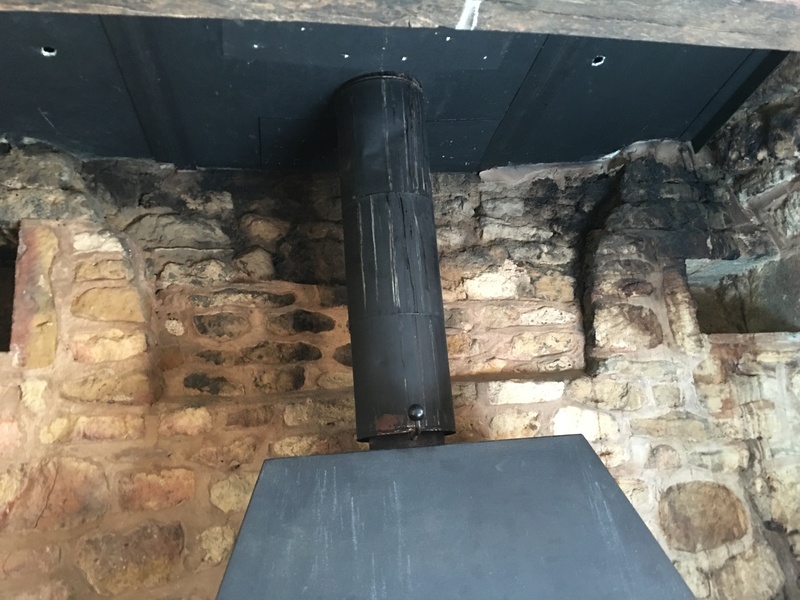 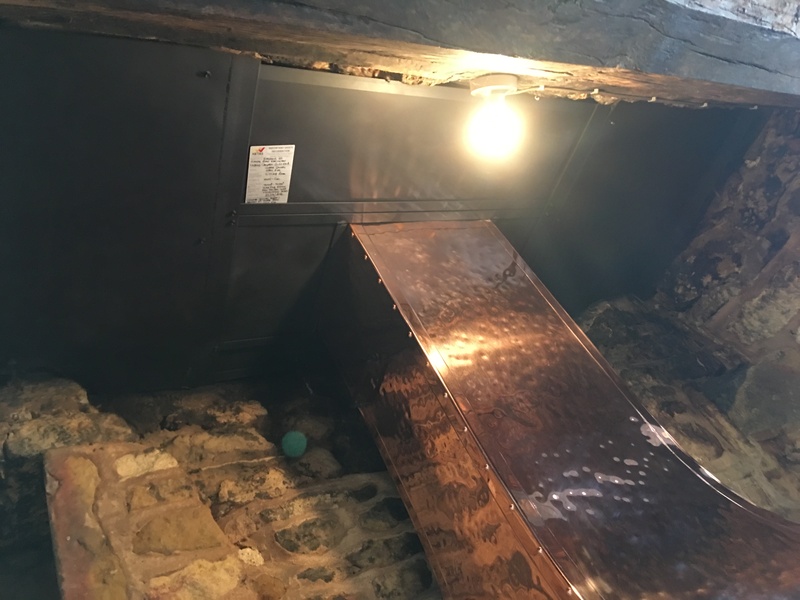 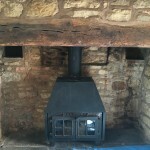 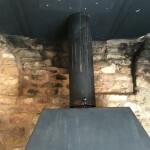 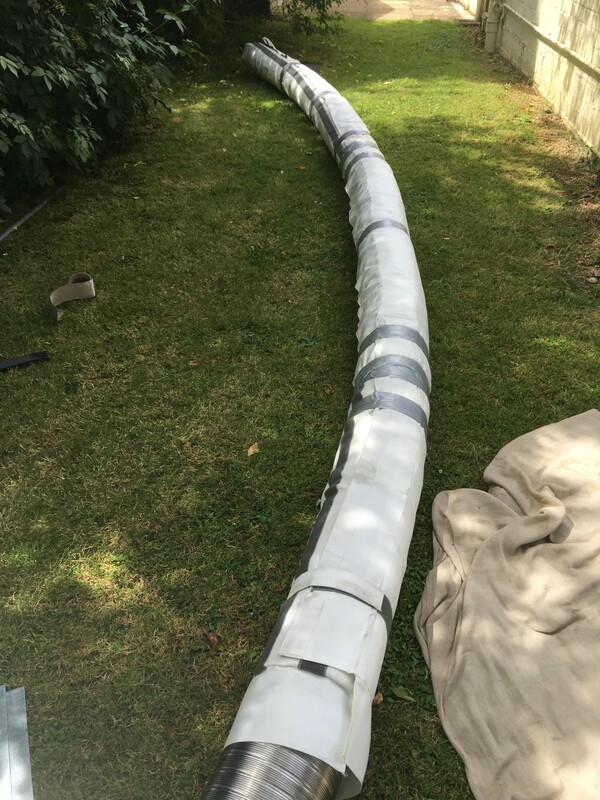 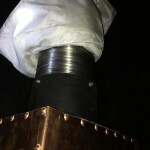 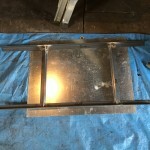 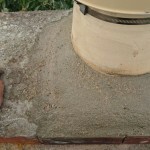 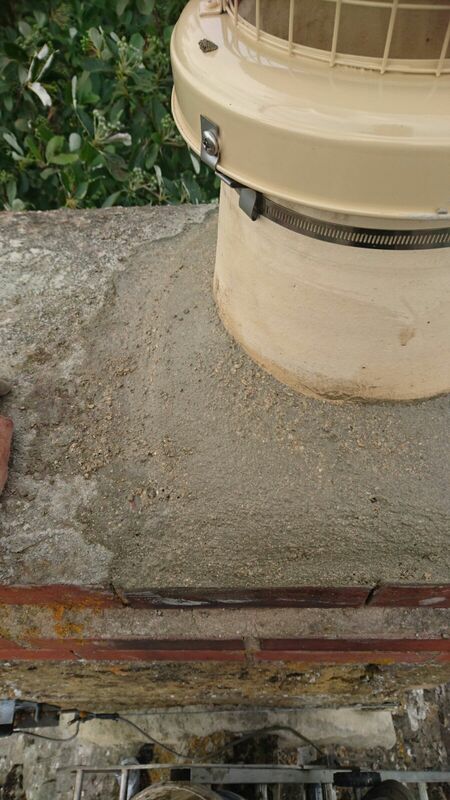 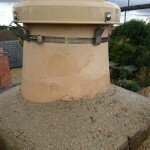 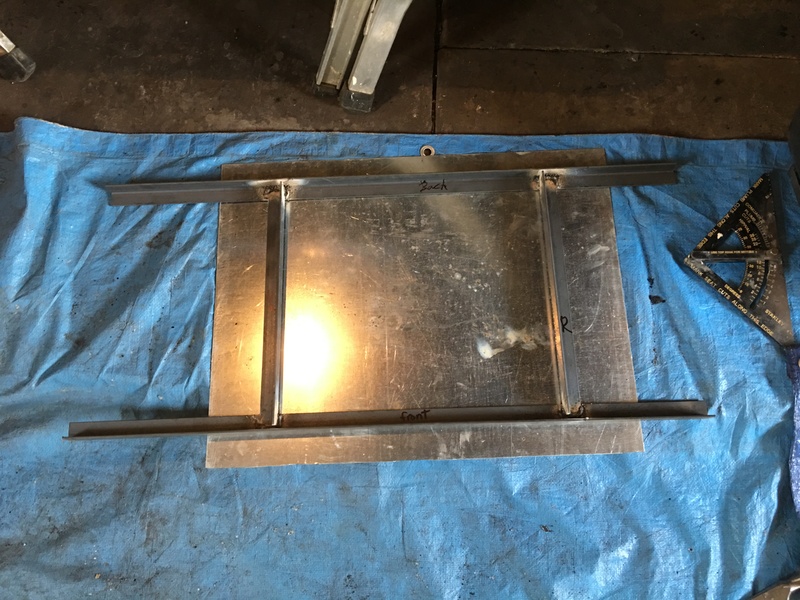 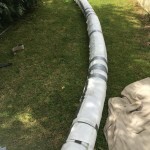 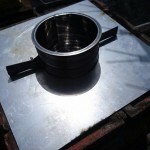 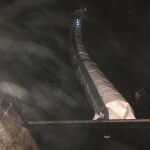 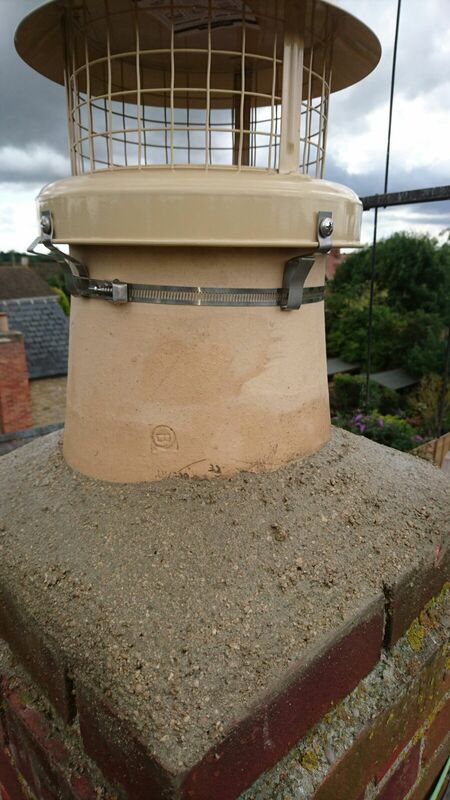 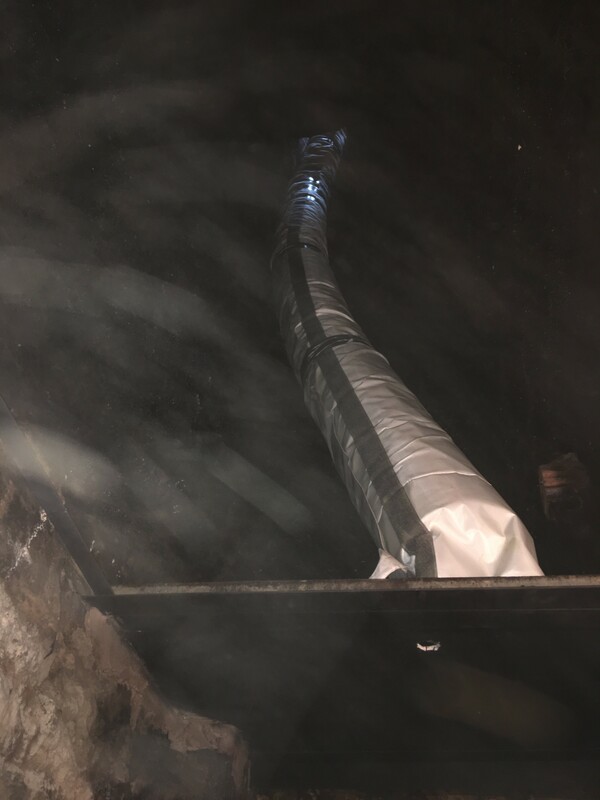 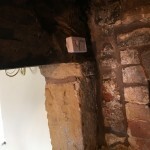 We started by removing the old stove & pulling down the wooden closure plate to gain access in to the chimney, this was extremely tarred & lots of soot built up on the wood which had been smouldering over time, this was powerswept to clean the chimney without causing damage to the stonework & giving us a clean slate to start from, we wrapped a new 30yr stainless steel liner in a thermal fireproof jacket for added protection & installed in to the chimney & bracketed to the chimney wall for support, we propped up the copper canopy to use as a guide to set metal supports & support angle bar for supporting copper canopy, we then cut galvanised metal plating for the new closure plate to seal off the chimney but allowing parts to be removed for visual access, the stainless steel liner was bolted to the adaptor on the canopy & covered in the insulation jacket, the copper canopy was also bolted to the rear wall for added support also, under the canopy we installed a steel fireback & bracketed to the wall for safety & to allow heat to penetrate into the room & not damage the rear stone wall, this was topped off with 2 x fire dogs & large fire grate sourced by the customer, we installed top plate, clamp & insert & finished off with a new buff pot & cowl with new cement flaunching, a new carbon monoxide detector was installed with Data plate & all relevant paperwork. 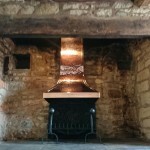 I am personally extremely proud of this installation & its much more in keeping with its surroundings now. 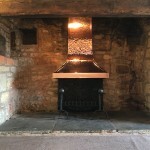 Many Thanks to the customers who gave us the opportunity to help them bring their vision to reality.